If you take Year 12 or 13 Maths or Science, get together with a team of 3-4 people and step up to the plate in this problem-solving competition. The annual New Zealand Engineering Science competition is a problem solving event for teams of senior secondary students organised by the University of Auckland's Department of Engineering Science, and sponsored by Orion Health and Fisher & Paykel Healthcare. This fun and challenging competition is for teams of three or four Year 12 or 13 students who are interested in Mathematics and Science. The first prize is $6,000, and there are two runner-up prizes of $2,000. We'd like to extend our appreciation towards our sponsors, Orion Health and Fisher & Paykel Healthcare, whose generous contributions help to make this competition possible. This year's competition will be held on Saturday, August 3 from 10am to 6pm. Registrations will open from June till the end of Friday, 26 July. The New Zealand Engineering Science Competition was held on Saturday 4 August, 2018. 199 teams took part, with entries from 75 schools throughout the country. How many tonnes of CO2 emissions could be avoided in your lifetime if New Zealand transitions to a completely electric vehicle fleet? The New Zealand Engineering Science Competition will return in 2019. You can find out more about 2018's highly commended winners and read the winning submissions on the 'previous winners' link. On the day of the competition, teams will receive an open-ended science related question. No specialist knowledge will be required to understand the question. However, a good range of problem solving skills will be required to formulate an appropriate answer. When answering the question, teams are encouraged to use mathematical modelling techniques. The required skills are often taught in mathematics or physics classes. 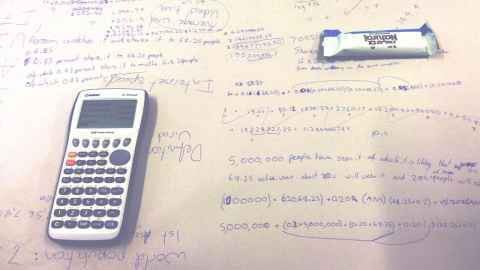 After developing your mathematical model, it should be evaluated (i.e. used to deduce results and draw conclusions). Depending on your model, you may find a computer with a spreadsheet application a helpful tool. Other teams may decide to develop their own computer code. What skills will my NZES team need? Of course, not every team member needs to have all of these skills – that is why you are working as a team! Each team must consist of three or four team members from the same school. Each team member must be enrolled at and attending a New Zealand secondary school immediately prior to the date of the competition. Students should be in either Year 12 or Year 13. If students are in another year they may still compete as long as they are taking a maths or science subject at year 12 or year 13. If you have any questions about this, Please contact us by email on des-competition@auckland.ac.nz. Any team that includes a member who is a grandchild, child or sibling of any staff member of the Department of Engineering Science may compete, but the team will not be eligible to win a monetary prize. Each team member must obtain permission to enter this competition from their parent or guardian. Each competing team will be asked to answer a single question aimed at Year 12 and 13 students. We do not supply easier questions to teams made up of younger students – a single question will be supplied and all teams will be required to answer the same question. No help with answering the competition question may be given by your teacher or any other person outside your team. This includes asking anyone for information. You are not permitted to phone, text, message, email or contact anyone in order to gather information. You are not permitted to seek information by posting questions to public forums. Seeking and/or receiving outside assistance on competition day will result in disqualification from the competition. Every team needs a teacher from their school to supervise them. On competition day, the teacher's primary role is similar to that of an exam superviser. The teacher is responsible for ensuring that the team members understand and abide by the conditions of entry. The teacher is also encouraged to help to organise the group and support them with computer access and a place to work. The teacher may also want to help the team prepare for the competition. On the day of the competition, the teacher must not provide any help in answering the question. It is the team’s responsibility to ensure that they have a place to work on the day of the competition. Their teacher should help with this. Teams will need at least one computer with a word processing program and access to the internet. Having access to more than one computer may be beneficial. Some spreadsheet software or the necessary tools to develop programme code may be useful. It is a condition of entry that all participating teams agree that their report may be published on the Department of Engineering Science website if they are winners or runner-ups of the competition. Photographs taken on competition day or submitted by team members may also be used on our websites and other marketing material unless stated otherwise. Teams also agree that the Department of Engineering Science may release information about the winning schools and members of the winning teams for publicity purposes. Teams may be disqualified at any point if they do not follow the competition rules. The New Zealand Engineering Science competition is judged by academic staff members of the Department of Engineering Science. Judging is anonymous. Therefore, please ensure that your report only contains your team ID but not the names of team members or your school. It is the team's responsibility to ensure you include only your team ID on their report. The judges will look closely at the content and analyse the chain of reasoning in each report. It is important to clearly and logically present your arguments. Teams need to present sound arguments for their approach to answering the question, but also to convey this through a well-written report. Refer to the 'report writing' heading under the 'Competition day' section below for a proposed outline of a report. There will be one prize for the overall winner and two runner-up prizes. The winning team will receive $5,500 to be shared equally among all team members and their teacher/coach will receive $500 for their effort. The two teams awarded a runner-up prize will receive $1800 to be shared equally among all team members, and $200 for their teacher/coach. The winners will be announced on our websites in early November. All registered teams will also be notified by email once the winners have been selected. The question will also be emailed out to you and posted on our Facebook page. Each team is required to work autonomously on competition day. No individual other than the student team members specified at registration may be involved in answering the question and in preparing the report. Your teacher MUST NOT assist you with answering the question. On competition day the teacher is there primarily to ensure that you abide by the competition rules. Any outside assistance on competition day will result in disqualification. Your teacher can be expected to make sure that you have access to the things you need (a working computer with internet, library books, etc) and may also submit your report on your behalf at the end of the day. Note that prior to competition day it is perfectly acceptable for your teacher to assist team members with their preparation. The competition only lasts eight hours. During that time you will need to understand the problem, research any relevant material required to solve it, come up with a solution and write a report. It is highly recommended that as you prepare for the competition your team members spend some time working on the skills required to produce a report. It would be a shame to lose valuable time during the competition because you are not familiar with basic report formatting skills such as typing up mathematical equations, creating graphs and citing sources. Make sure that you manage your time wisely so that you have something to submit before the competition ends! Some well prepared teams have even created templates for their reports ahead of time, so that they can save some time on formatting their reports during the competition. The problem, like most addressed in Engineering Science, is open-ended. Solutions which fully justify the conclusion they make in terms of relevant physics, mathematics and economics are likely to be awarded more marks than solutions which simply quote the results of analysis published by other organisations. The question will be open to interpretation, and there is no singular answer. We expect to receive very diverse answers – we want to see every team working with the topic creatively. The problem statement provided does not give any of the numerical data teams may need or want. This is deliberate! Engineering Science studies "real-world" problems which are frequently posed with incomplete data. Teams are encouraged to collect background information on the topic on the day of the competition. It is very likely that teams need to do some research on the topic using the internet or in a library. Teams should make appropriate assumptions to proceed with their analysis, as we ask a general question. Teams need to clearly state the assumptions they make as well as discuss limits of their formulations caused by the assumptions. Teams may want to use spreadsheet software or even develop their own program code in order to answer the question. Students are welcome to consult reference material if they wish to, including books and websites. The final report each team submits should include a list of references being cited. Only freely available material may be used, such as websites or books that are available in public libraries. Material from the internet that requires a subscription (such as scientific online-journals, for example) may not be used unless it is a resource that all schools in New Zealand have access to. As a rule of thumb, your judges need to be able to access the material you use. You may assume your judges are able to access all the books in your local library as well as information freely available via the internet. Title page: Your title page MUST only include your Team ID. Do not mention your names or school. Summary: Summarise the findings and approach taken without the use of technical terms. A layperson should be able to understand this. Mention all important aspects considered in your study and conclude by summarising your findings. The Summary must be one page or less. You may combine the title page and summary into a single page if desired. Introduction: Introduce the user to the topic you are working on. Try to generate interest into what follows. You may want to introduce your mathematical model(s) and explain why the chosen model is appropriate or how you formulate it. In this main body of your report, you are encouraged to use appropriate technical language. Also make sure you state what assumptions you make. Discuss your findings deduced from the model and answer the original question. Discussing what influence your assumptions have on your findings may greatly enhance the quality of your report. Remember to include citations (see below for comments on citations). This is the end of your report. In this section, should repeat your main findings. You may want to discuss further work that could be done to enhance your answer. You could also comment on how you would like to improve about your models. You may want to include computer code, if this is developed some as part of your answer. Note that computer code in the Appendix does not replace a good explanation of your model. An Appendix is additional to your report. The judges may not read it very carefully as they may not want to decipher your computer code. If you do provide an Appendix, keep it short and do not include any important information in it. Make sure that the length of the whole report, including Appendix, does not exceed the page limit. In general, it can be said that a well-written report will be likely to impress the judges. On the other hand, a badly written report may worsen the impression an otherwise technically sound report makes on the judges. You need to make sure that the judges understand your approach. The ID number of the team must appear on the title page of the report. No other reference to the team may be included on the report – do not include the name of team members or the name of your school on the report. This is to ensure the judging process is absolutely unbiased. You may be disqualified if you do not follow this requirement. Do not reinvent the wheel! You may, of course, use what others have found out. When you do, it is important that you tell the reader when you do so. Throughout your report you need to identify (cite) material prepared by others that you use. This includes images from the internet. You need to include either footnotes or endnotes to do so. A brief guide on how to cite your references is provided within the final competition instructions, which are sent out on the Monday prior to the competition. Proper citation of all work by others, included in your report, is necessary. This means that whenever you use a statement or fact you found somewhere on the internet or in a book, you need to cite the source. This includes written material (quotations, but also mathematical models that you find somewhere and decided to use in your report), pictures, graphs, and tables. You may not receive a positive evaluation of your work if you do not cite any sources at all. Including references at the end of your report with no link to the relevant sections of the report is not proper citation and will affect your score negatively. You can generate your report using a text processing software of your choice (for example Microsoft Word, Open Office Writer or Latex), but it needs to be submitted as a PDF. Length: Reports must be no more than 10 pages in length (including the title page, summary and all supporting material such as references and any appendices). Convert your report into a PDF for submission. Ensure (before the day of the competition) that you are able to generate a pdf file on your computer. There is free software available to convert files of different file formats. Submissions must be uploaded to Turnitin by 6pm, as per the instructions emailed out on the Monday prior to competition day. You may submit partial solutions, so even if you feel you were unable to completely answer all questions or aspects of the question fully, please do submit your report. Bear in mind that all other teams have the same time constraint and may be struggling as well. Even though you submit a partial report, you should try to have a complete report consisting of the following components: Summary, Introduction, (incomplete) Main Part, and Conclusion(s). Problems with online submission:If you have any problems with your submission on the day of the competition, please contact us by phoning 09 923 3014.